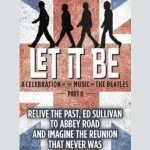 Coming direct from London’s West End and Broadway, relive the past from The Ed Sullivan Show to Abbey Road with hits including ‘Hard Day’s Night’, ‘ Hey Jude’ and ‘Sgt. Pepper’s Lonely Hearts Club Band’. Watch The Beatles morph through their iconic albums and styles right before your eyes ! The Merryman stage is a venue for more than 130 events each year. More than 62,000 people enter the beautiful Ron & Carol Cope Foyer to enjoy a Merryman season show, school music program, Kearney area concert, dance recital, choral program, wedding or church service in the Morris Family Theatre. The Robert M. Merryman Performing Arts Center is unique. It is the only community performing arts center to be located in an active elementary school. The original building was built in 1926 and is listed on the National Register of Historic Places. The Ron and Carol Cope Grand Lobby, the Reception Hall and the Scott D. Morris Family Theatre echo the architectural design.